Just how well does James Hardie Siding hold up against its competitors? 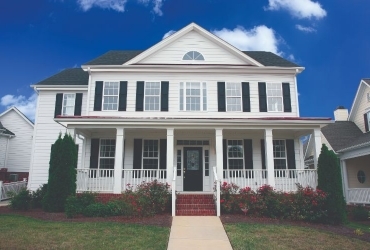 The market is saturated with a variety of exterior replacement siding options. 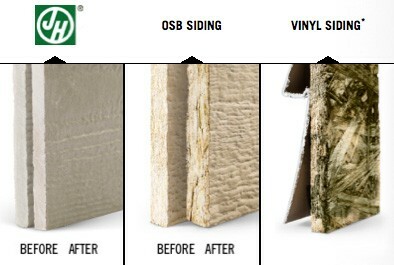 See for yourself just how James Hardie siding performs and why it is Siding King’s superior product of choice. 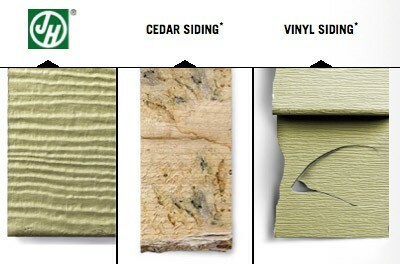 James Hardie siding is engineered to look like real wood and stucco. Homeowners can choose from many replacement siding options, like shingles, panels, planks or stucco. While vinyl siding can give the appearance of planks, the length of James Hardie siding planks allows for fewer connection seams, giving your home’s exterior a smooth, seamless finish. Are you particular about the color of your home’s replacement siding? James Hardie’s ColorPlus technology produces a lasting paint color for 15 years or more, while most other forms of siding need to be repainted every 3 to 7 years. While many other forms of siding can expand and contract based on weather or experience warping due to sudden climate changes, James Hardie siding is Engineered for Climate. 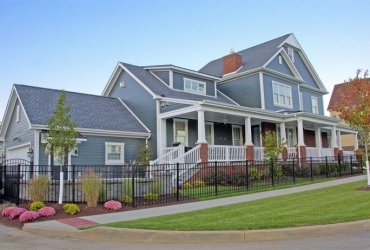 James Hardie also developed the HardieZone system to help homeowners find the perfect siding for their environments. For most forms of siding, water means warping, swelling or rotting — but not with James Hardie Fiber Cement. It is designed to withstand water damage, and can endure rain, snow, sleet or hail and not warp, rot or be damaged from mold. 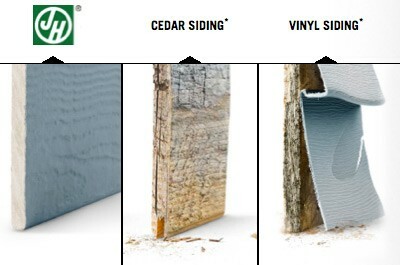 Typical cedar siding attracts a variety of bugs and pests, while woodpeckers and other vermin can create holes in the side of stucco, allowing for other insects and pests to wreak havoc. James Hardie Fiber Cement’s composition does not hold the same appeal to insects and stands up much better to pests that would damage the exterior. 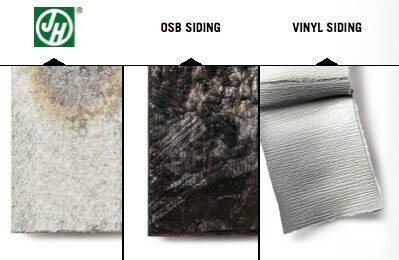 Nearly every form of siding can be damaged by fire, but not James Hardie Fiber Cement. While wood, stucco and OSB siding are all combustible and vinyl melts under fire, Fiber Cement will not burn, which adds a level of comfort and peace of mind to any homeowner. 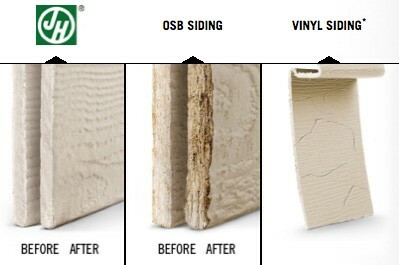 One of the greatest difference between James Hardie replacement siding and others is its low amount of maintenance. 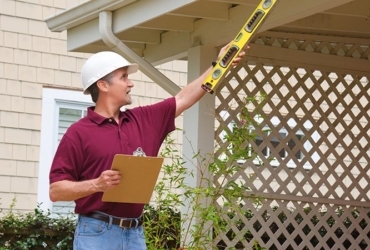 Your time is valuable, and though other forms of siding may last for years, they require a great deal of maintenance to do so. Wood siding, whether planks or shingles, needs continual resealing, repainting, cleaning and inspecting for weather damage and pests. James Hardie Fiber Cement siding needs only to be washed with mild detergent, a non-abrasive sponge and water — no worry of pests, repainting or rot required. With all your home does for you, give it the quality siding it deserves. Get a trusted siding contractor with 60 years of experience to install your new siding and enjoy coming home again.